My kids love animals. This is not so amazing despite the fact that we have no pets. With four kids in the house, my policy has always been 'Not one more living thing in my house'. I seriously just don't want to take care of anyone or anything else. But because of books like Curious Critters, my children have the opportunity to at least vicariously understand what different animals are like. 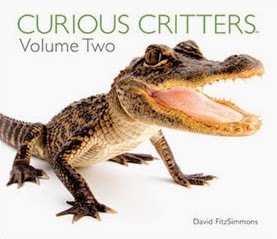 In the second of David Fitzsimmons' Critters series, animals shared with him what their favorite things are, how they like to travel and what hobbies they enjoy. It was really an interview series in my opinion. A Monarch Butterfly, a Nine-Banded Armadillo and Eastern Cottontails Bunnies all divulged secrets and fun facts that you'll have to read in the book. My children absolutely LOVED this book! It was as though the animals spoke directly to them, and what more could a child, especially three of them with vivid imaginations, want? Sample pages for yourself right here. 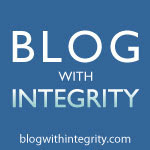 More about the author, David Fitzsimmons. Writing Curious Critters was a lot of fun! And it was the easiest thing I’ve ever done. You see, I didn’t really have to do a thing. The animals told me what to write. I have to say, however, the most interesting was my conversation with the Southern Flying Squirrel, who could never talk in complete sentences. In fact, he never sat still long enough to even finish a thought. So, I took notes during the portrait session and then wrote out the text right afterward. Piece of cake! Right?